Pugs, Pugs, Books, and Pugs | Separated by a common language. « PC Vs. Mac…FIGHT FOR MY LOVE!!! I’ve heard a lot of sweet stuff about this book, so after I finished reading Pug Hill (another book worth reading if you love pugs). I liked Pug Hill because it captured the innocent pleasure of just watching pugs be pugs. It also had a really sweet story behind it as well. It also made my mission to find out if there really is a “Pug Hill” in New York City. Oh if there is….it will truly be my heaven! This book was published in 1999, and it’s been IMPOSSIBLE to find. Finally, I phoned McNally Robinson bookstore and they’re getting one in for me! YESSSSSS! Books make me all nerd excited! I’m going to get my suspenders and my pocket protector! Oh, I loved Pug Hill. I received it for Christmas and read it in a day! It was soooo good. And “Clara” is on its way to me from a friend. I can’t wait to read it! Awesome, I am glad you got this book. For, if you had not gotten this book, I would have gone on a box kicking spree until you had. I LOVED Clara. It was absolutely wonderful, and lovely and soo funny. 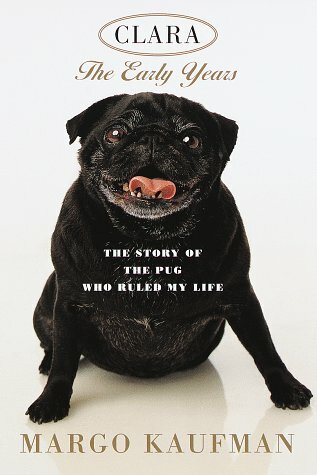 And it has the most accurate pug history I have come across (almost all of them mispell the chinese names and origins). I’ve gotta get Pug Hill! I read Clara and it was good. I don’t know if I still have it, but if I do, I can pass it on if anyone is intersted, let me know. I need to go see if it’s on my bookshelf, though. I haven’t read ANY of these pug books! I think I’m gonna head to my library and see if they have some puggie reads! Oh, and just because someone likes books, doesn’t mean they’re nerdy. I love to read and I don’t own a pocket protector or suspenders, thank you very much.